WAECO Universal Fridge Fixing Kit UFK-C. Folds flat for easy storage. Comes with all fixing screws and strap. 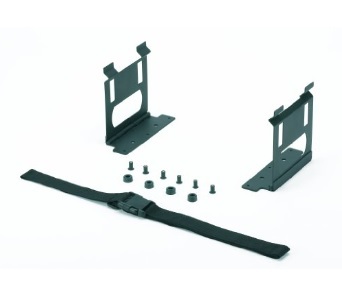 The Universal Fixing Kit is made from powder coated metal and comes as a kit of two frame sections, adjustable strap with snap lock and a full set of screws. All components are supplied in a black colour style. With this kit you can install your cooler into your vehicle and keep it secure during travel and storage.